The book A Renegade History of the United States by Thaddeus Russell, a professor of History and American Studies at Occidental College is maybe inaugurating a new genre in American History. Russell is a maverick historian whose family come from the Trotskyist left and is very interested in libertarianism, however not a libertarian or a socialist but something in between. In a time when political correctness is dominating left-wing activism on campus, these professor tell a tale that is not going to please a lot of liberals. The premise is that renegades made America great. But who are these renegades? He writes in the book about prostitutes as the pioneer of women’s rights. Now these is not something that contemporary feminists from Gloria Steinem or Lena Dunham are going to agree since they support banning prostitution. But Russell had some strong arguments, prostitutes were among the first American woman’s in achieve economic independence. A lot of the brothels were managed by madams that not only become wealthy but influential in local politics. Prostitution also broke race segregation of the early since most prostitutes didn’t had problems in offer their services to non-white customers and also there were some Asian, Native American and Black prostitutes as well. There are some interesting things about race relations. He talks about the fascination with black culture and slavery from White Americans as something that goes beyond the puritan ethics of the time. He talk about ethnic groups like Irish, Italian and Jewish and how they became White Americans after being marginalized Europeans. Irish and Italians join the police, the military and became important politicians while Jews were successfully in business and the academia. But he also has some strong disagreements with mainstream left-wing historians about the Civil Rights leaders because he consider MLK and others were too puritans and on a lot of issues on the side of conservatives. 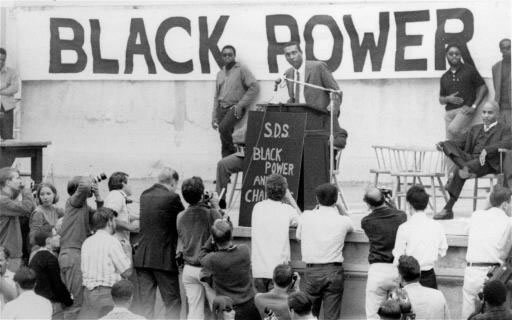 He made a point that is not necessary understood that the radical Black Power movement was crucial for the achievement of Civil Rights since MLK had the leverage to say to the white political class that could choose between non-violent Cristian Afro-Americans or the dangerous black radicalism. He talks about how the mafia was fundamental for the LGBT movement since a lot of gay bars used to be ruled by the mafia. But also when he talks about the LGBT movement he spoke about how the early leaders of the movement try to present their self as regular Americans and not crazy queers. About how the early LGBT movement there was a desire of acceptation in the society. There is also a powerful tale about the similarities between the New Deal liberalism, Italian fascism and German Nazism as totalitarian programs. In which popular leaders use centralized government in the name of progress. He talk about the early good relations of these governments and how the World War II wasn’t a fight of ideology but of geographical influence. By far Russell has write one of the most interesting books on American history of the last years. His book is Michel Foucault meets Howard Zinn. The history of how some times are not virtuous leaders or courageous activists that had made America a better place but the lowlifes that are more interested in their self than the in country whom however by different ways conquest the liberty that today Americans celebrate. The surprise of this primary season is probably Bernie Sanders. The independent Senator from Vermont who calls himself as a democratic socialist and is running for the Democratic Party’s presidential nomination is doing very well in polls, drawing large crowds to his events, and has even raised considerable funds for a politician who relies on small donors. Some might say Hillary Clinton should be worried. In the beginning no one bet anything on him, and some think that his support for gun rights would affect support from his liberal base, but that doesn’t seem to have happened. In America, people usually assume that everyone on the left supports gun control. Outside America, not many people speak about gun rights. As a Peruvian lefty, I never thought about guns. The exception was when I saw Bowling for Columbine, after that I supported gun control even if in my own country buying guns is actually very complex. I think that non-American leftists tend to sympathize with Michel Moore and other progressives from Hollywood, not out of affection for liberalism but to oppose conservativism; all gun rights advocates in the liberal conception are portrayed as gun nuts. Some years after I had taken a position on guns, I joined the Socialist Party of Peru and started to be interested in the history of the New Left, first in my own country, then in America. When I read the libertarian Anthony Gregory defending the use of guns by the Black Panthers, my position changed and I became a supporter of gun rights. But that wasn’t my first step to being sympathetic to guns, I think it was reading the left-libertarian Alexander Cockburn that I started to be suspicious of the liberal arguments for gun control. The idea is very simple — self-defense. Minorities throughout history have had to defend themselves from the aggression of centralizing powers including the State, from the militia movement to the Zapatistas. It doesn’t matter if they are a minority based on ideas or ethnicity, the thing that matters is that they are going to be able to defend their community, just like the Panthers did before the Reagan crackdown. It is funny that liberals still often portray gun enthusiasts as closet white supremacists or something similar. Sure Dylann Roof was a real racist, but what about the Huey P. Newton Gun Club? Despite the popularity of Bernie Sanders, I don’t think that liberals are going to agree with him on gun rights, I think they would had been more comfortable with a gun control liberal like Elizabeth Warren, but the fact that Hillary was far to the right that Bernie became a choice for an average Democrat voter. Even if Sanders’ popularity hasn’t anything to do with his position on gun rights, maybe there are baby steps to toward a left favorable to the Second Amendment. Some argue Sanders’ support for gun rights is simply a matter of Vermont being a rural state where guns are popular and maybe there some truth in that, it would be very difficult to get elected as a supporter of gun control. Some people think socialists are just like liberals, but it’s more complicated. In the years of war against the Sandinistas in Central America, even some social democratic parties from Latin America were in favor of them. While social democrats oppose revolutionary socialism, they more or less agreed that the Nicaraguans should resist. If you say that you are a fan of Che Guevara, it doesn’t make sense to be in favor of gun control. On the contrary, if you want to empower people, give them guns and the possibility to defend themselves.